In this tutorial, we'll focus on setting up SSH keys for a vanilla Ubuntu 16.04 installation. 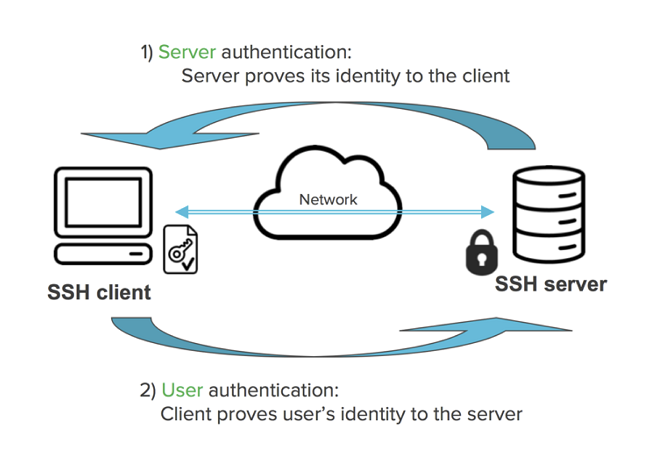 SSH keys provide an easy, secure way of logging into your server and are recommended for all users. By default ssh-keygen will create a 2048-bit RSA key pair, which is secure enough for most use cases (you can optionally pass in the -b 4096 flag to create a larger 4096-bit key). Here you optionally may enter a secure passphrase, which is highly recommended. A passphrase adds an additional layer of security to prevent unauthorized users from logging in. Now try logging into the machine, with: "ssh 'username@172.22.10.100'"
At this point, your id_rsa.pub key has been uploaded to the remote account. We can do this by using the cat command to read the contents of the public SSH key on our local computer and pipe that through an SSH connection to the remote server. On the other side, we can make sure that the ~/.ssh directory exists under the account we are using and then output the content we piped over into a file called authorized_keys within this directory. After entering your password, the content of your id_rsa.pub key will be copied to the end of the authorized_keys file of the remote user's account.